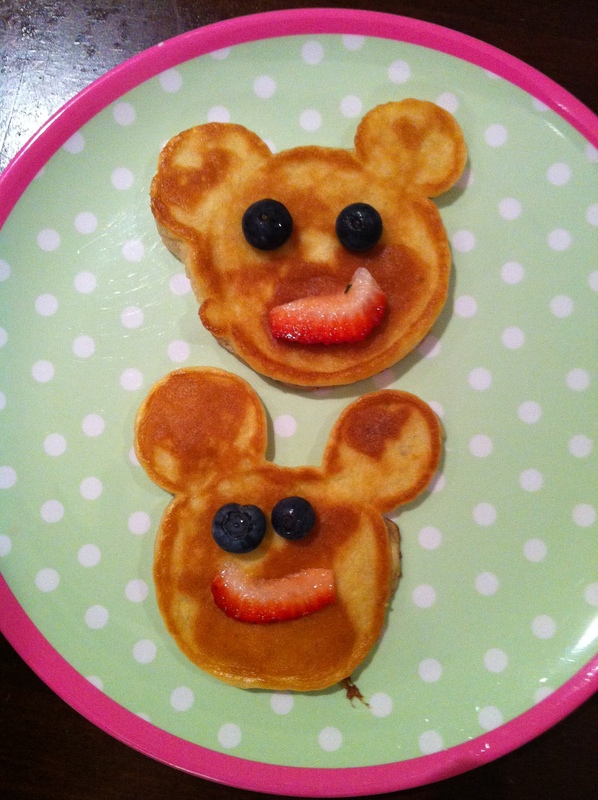 mickey mouse pancake | what is clara eating today? In a bowl, mix pancake mix, egg, canola oil, and vanilla flavor. Heat a non-stick pan/skillet and make pancakes, flipping only once. use blueberries for the eyes, and strawberry for the mouth. Posted in breakfast, nut-free, snacks, something fun!